Framingham Location | Joel H. Schwartz, P.C. For clients located west of Boston, our Framingham location is ideal for meeting with our team to discuss your case. We have been at this same location for over 15 years and are happy to serve the Framingham community and surrounding areas. Call our office any time Monday through Friday from 8:00 am to 5:30 pm to schedule an appointment with any one of our experienced personal injury lawyers. 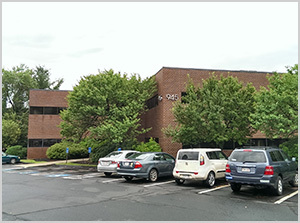 Our Framingham office is conveniently located between the Mass Pike and Route 9 on Concord Street. Take Route 495 to Route 9 East. Follow Route 9 to Route 126 North. Follow Route 126 North going straight through the intersection of Route 126 and Route 30. We are the fourth building on the right after this intersection. Follow Route 9 East/West to Route 126 North. Follow Route 126 North going through the intersection of Route 126 and Route 30. Follow the MA Turnpike to Exit 13 (Framingham/Natick). After paying the toll, head towards Route 30 West. Follow Route 30 to Route 126 North. You will pass by McDonalds and Burger King. Turn right at the light where Route 30 and Route 126 intersect (Route 126 North). We are the fourth building on the right. Take Route 95 (Route 128) to the MA Turnpike West. Follow the MA Turnpike West to exit 13 (Framingham/Natick).